Easter Brunch at Southern Art! Enjoy a delicious Easter Sunday brunch at Southern Art! The restaurant's signature brunch buffet will include a variety of breakfast dishes, all of Southern Art's classic offerings, a Belgian waffle and omelet station and much more. 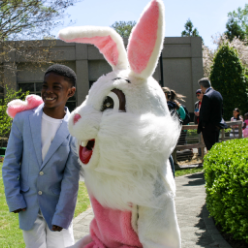 The fun will continue with an interactive petting zoo and a live appearance by the Easter Bunny himself! Get your cameras ready for that perfect photo opportunity! $95 per adult, $45 per child five years and older and children under five are free.